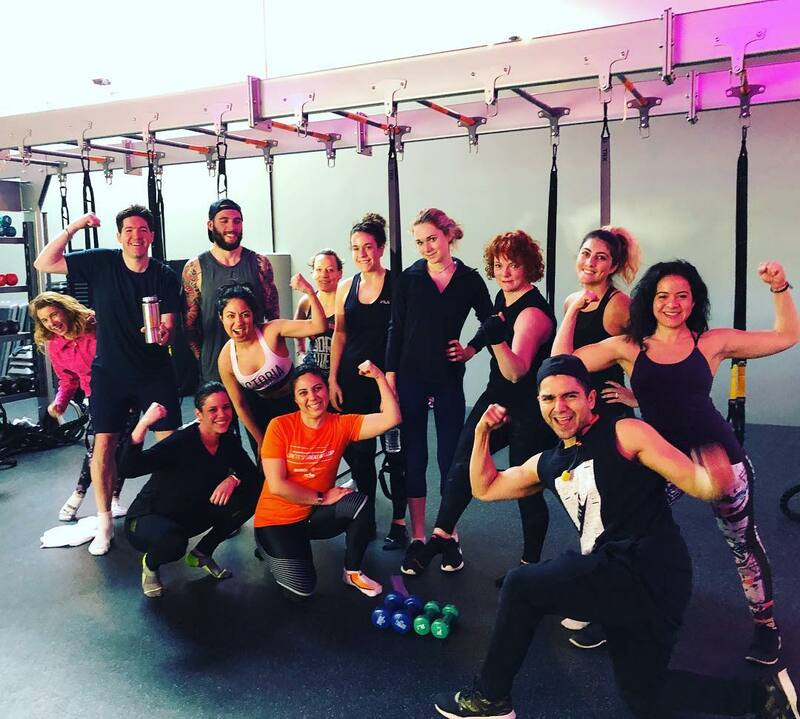 Not your average bootcamp – WF Bootcamp combines all elements of fitness! From the essentials like push-ups and pull-ups to newer styles of training like TRX straps, plyo boxes, BOSUs, battle ropes and HIIT circuits, you can expect a heart pumping, sweat dripping experience. And don’t worry…this and every workout at WF is built for you to push yourself to your own limit as the instructor motivates you the whole way. Get ready for an extremely efficient total body workout. A calorie-crushing class that takes HIIT to a whole new level. We combine high intensity interval stations with WaterRower intervals. You will row for time, calories, and distance so that you can challenge your body on every level. When you’re not rowing you will be working on building your strength and power on the training floor. With a variety of equipment, no two classes will ever be the same. This class is a great test in both cardiovascular and muscular endurance. TRX is a form-focused, music-fueled, powerful workout that uses your own bodyweight as resistance to challenge every muscle in your body. Developed by a former Navy Seal, TRX is efficient and highly effective. TRX will develop your balance and core strength as well as increase your endurance and stamina. Because your bodyweight creates the resistance, all of our TRX classes are designed with the ability to modify or advance any exercise based on your personal fitness level. Although this class is strength focused around the TRX, you will be getting additional cardio HIIT on other stations using plyo boxes, BOSUs, steps or other equipment. Get ready to feel muscles you never even knew you had. Combining the burn from small muscles in a barre class, with the bigger muscle groups of a TRX class, and you have ‘WF TRX BARRE’. Mixing up toning exercises with an increased heart rate from small movements, you will be sure to fatigue the muscles in the most efficient way possible. To get the body of a dancer and strength of an athlete, be sure to check out this exclusive WF class. Limited to 16 clients for maximum attention. TRXFire is just how you’d imagine a class with “fire” in the title would be. This is one of our toughest classes. This class is a combo between high-intensity cardio, mixed with our TRX Suspension trainers. This is an advanced class for members looking to burn the most amount of calories in the least amount of time. HUSTLE is one of our lead fitness trainer’s signature classes! Alex R, will bring you through 4 stations of challenging cardio-driven modalities. You can expect one station to always incorporate our TRX suspension trainers while the other station are a mix of body-weight / equipment movements. This a high-intensity class meant to burn tons of calories, while still always focusing on proper form and technique. MUSCLE is Alex R’s pride and joy! Our lead fitness trainer believes Strength Training is the most effective way to change one’s body. In this class, there is no cardio! Woo hoo! Don’t let that fool you Alex R., knows exactly which strength modalities spike heart-rate, gets those “muscles” burning, and delivers a killer workout. 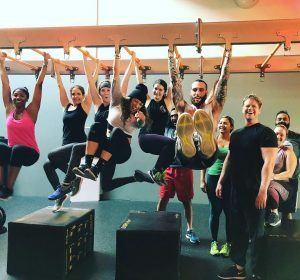 This is the most effective strength based class in Queens, perfect for all levels. The format will always incorporate our TRX Suspension Trainers, while working with a variety of our vast equipment. This is our Studio Manager, Joia’s, signature class. CORE + CARDIO. Basically, SPINCORE without the bikes. We’ll use our studio and the park for high-intensity cardio-driven modalities. After we’ve sufficiently raised our heart-rates, we’ll target all three parts of your core for abdominal burnout!